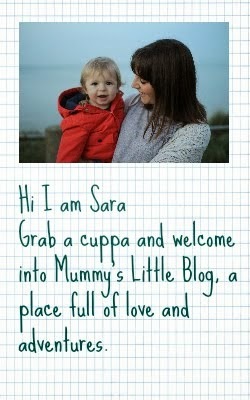 Mummy's Little Blog: Busy weekend and Ill parents! So been a busy few days, not had a chance to blog about anything nor really had any ideas on what to write about!! Writers block or extreme exhaustion was reading other peoples blogs but thats been about it!! Anyway my dad was rushed into hospital Friday straight to resus then to ITU. So been spending time at the hospital aswell as being a mum and just doing life! My husband did a good job looking after the kids i didnt leave him with anything so he did well sorting out bottles and baby stuff out! Seeing your parent really ill is not great fortuantly he has got better after a blimp on Sunday is now out of ITU. ITU is a scary place my dad thank god was not ventilated but was on a BIPAP machine which is an non invasive ventilation machine, but one day i was in there there was a young man in his twenties unconscious connected to all sorts of wires really makes you think how lucky you are and how much life means! Makes you want to live life to the full, not wasting a second, you realise those little things are not worth it and i want to live my life full of love and excitement! My dad also when awake was confused thought there was some kind of conspiracy going on in the hospital! very funny to listen to he thinks he is stuck in the film Coma! i havent seen it but have been told by my dad the staff are killing patients in the night! oh dear! Anyway i am linking this up with magic moments over at Olivers Madhouse because im glad my dad is better and on the mend! Hopefully this will make him see that he should go to the doctors when ill and not wait till your really ill and about to die!! Thanks no it wasnt although look forward to enlightening him on his crazy stories!! 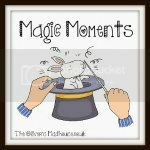 Wow what really #magicmoment that he is going to be ok! Thanks yes he is alot better now!! Thanks hes home now actually so alot better so quick! !